The cake-pop juggernaut known as Bakerella made a line of adorable Muppet cake-pops, and wants to show you how to make them yourself. Curiously, there is no love for Lily, the food-insecure muppet. 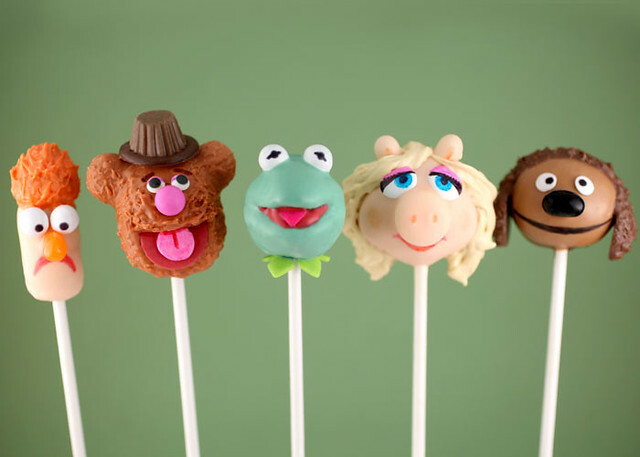 We rolled our eyes a little when Bakerella revealed that Disney commissioned her to make these cake pops, because frankly, we're weary from months of pre-launch promos and dozens of Youtube mini-meta-movies about next Thursday's theatrical release of The Muppets movie. Nonetheless, we got suckered in when we saw cake pop Muppetheads. Damn you, Disney, and your carpet-bombing Marketing Department! Detailed instructions for each one over on bakerella.com.